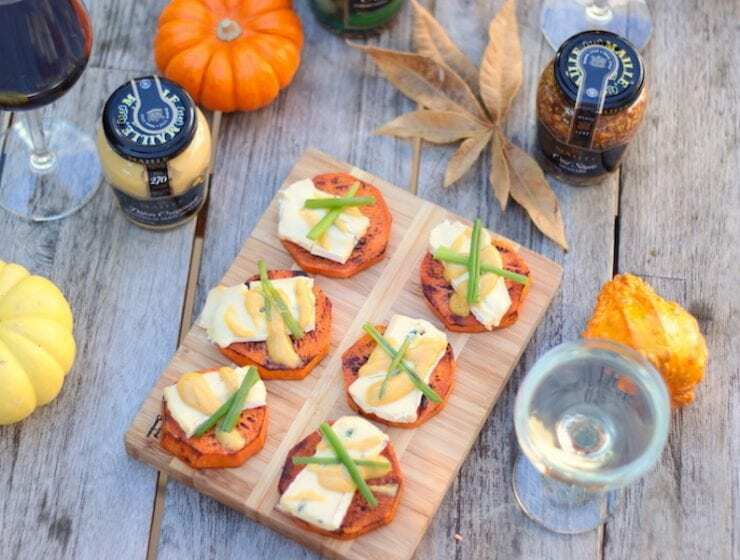 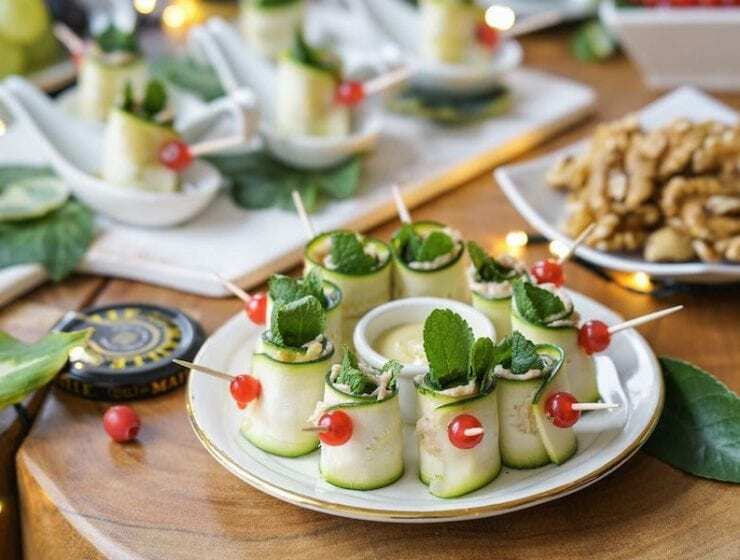 Looking for an incredibly easy appetizer that is guaranteed to be a crowd pleaser? 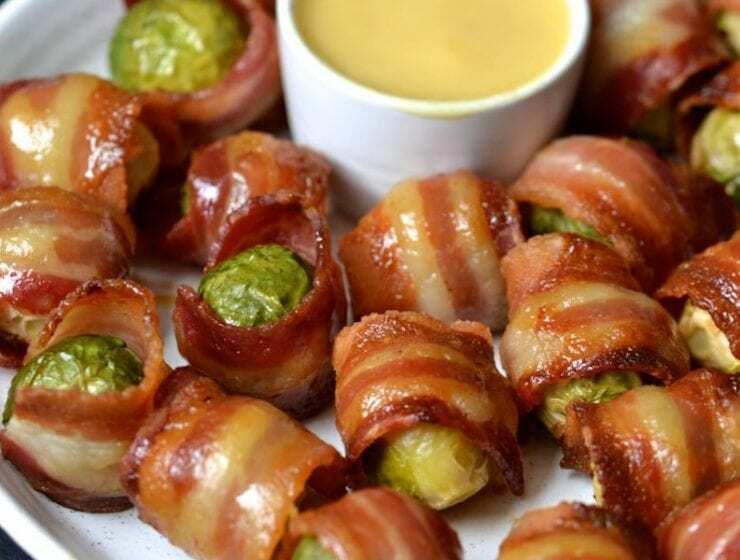 These Honey Mustard-Glazed, Bacon-Wrapped Brussel Sprouts are made with just 5 ingredients and are such a hit. 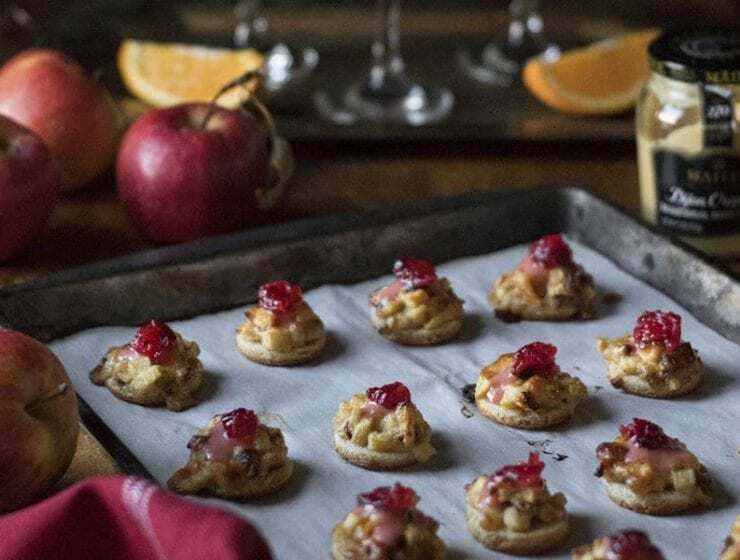 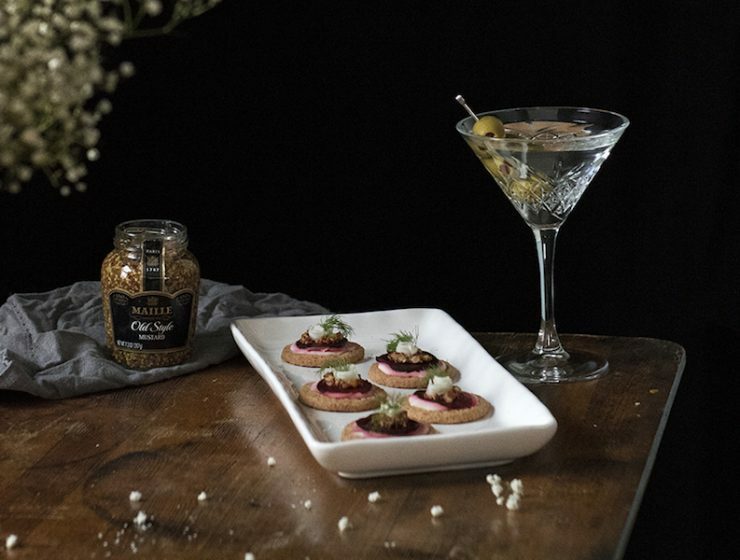 These easy crostini make for the perfect holiday party bite. 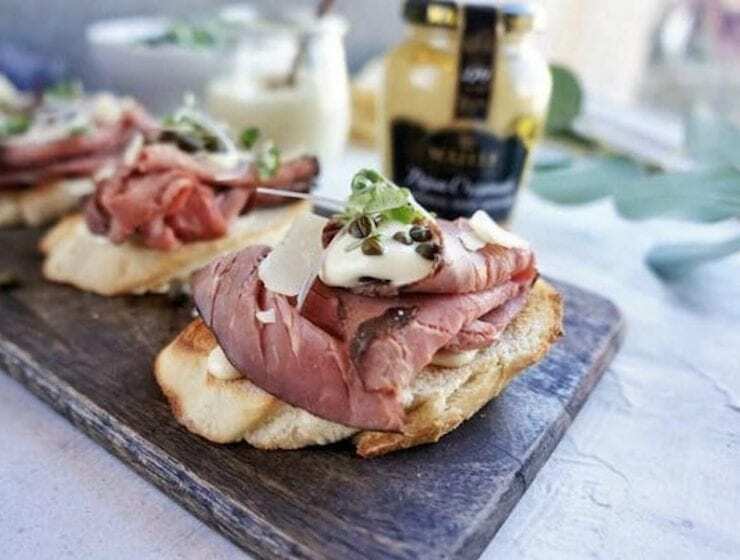 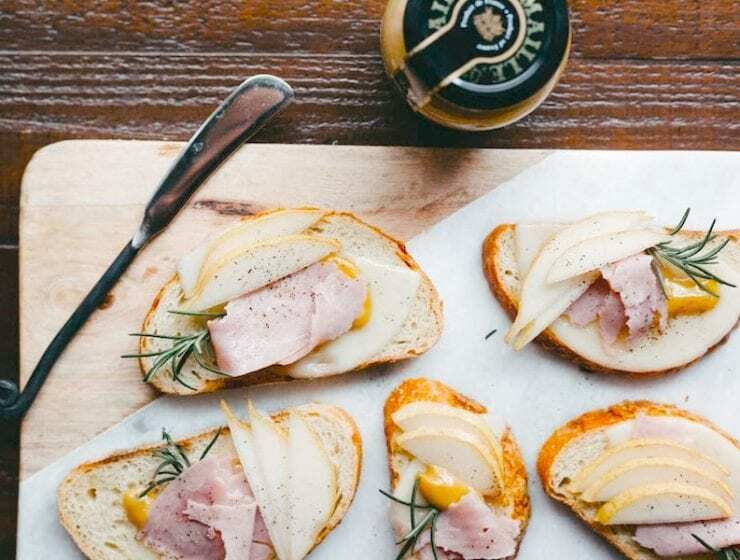 Sweet pear, savory ham and a burst of flavor from honey mustard. 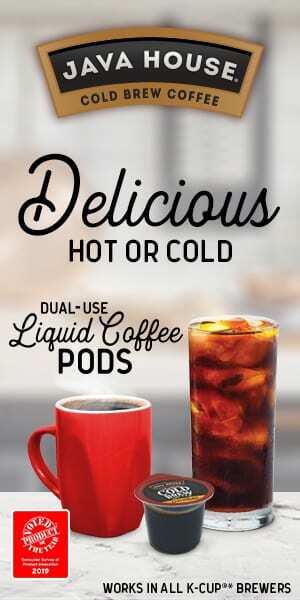 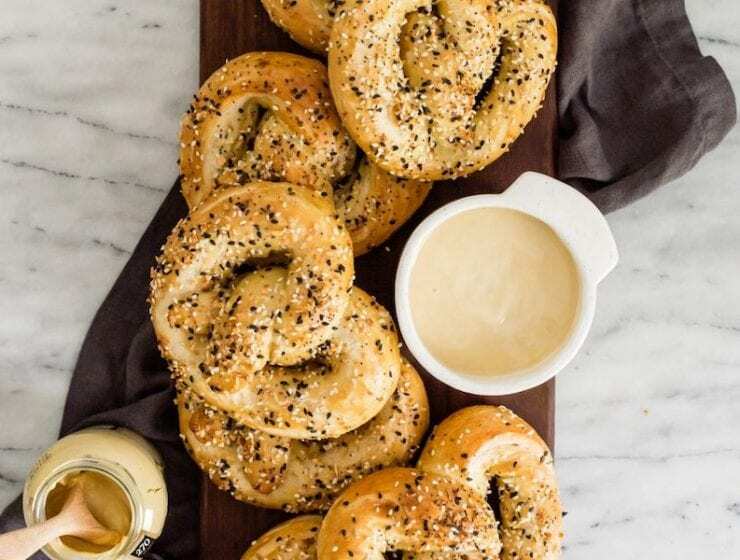 It’s everything our tastebuds want. 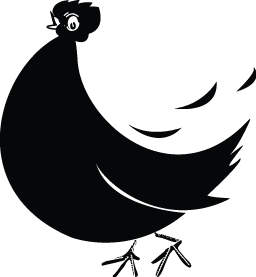 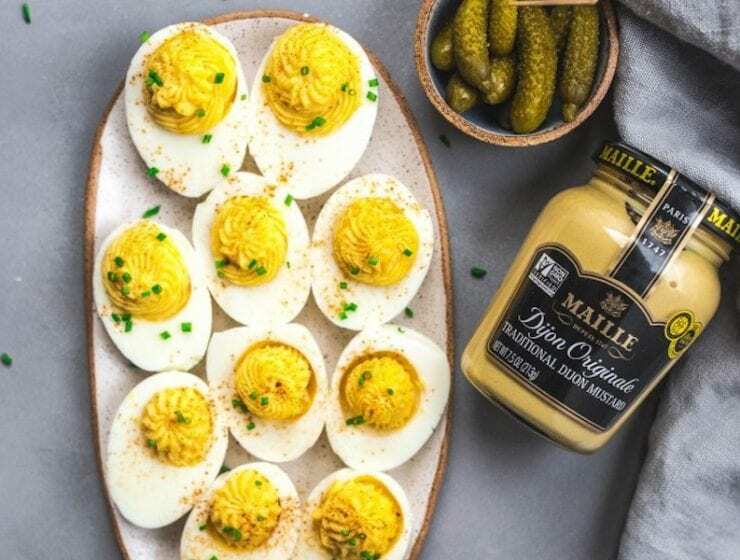 Classic, well-made deviled eggs are the perfect bite to bring to any party this season. 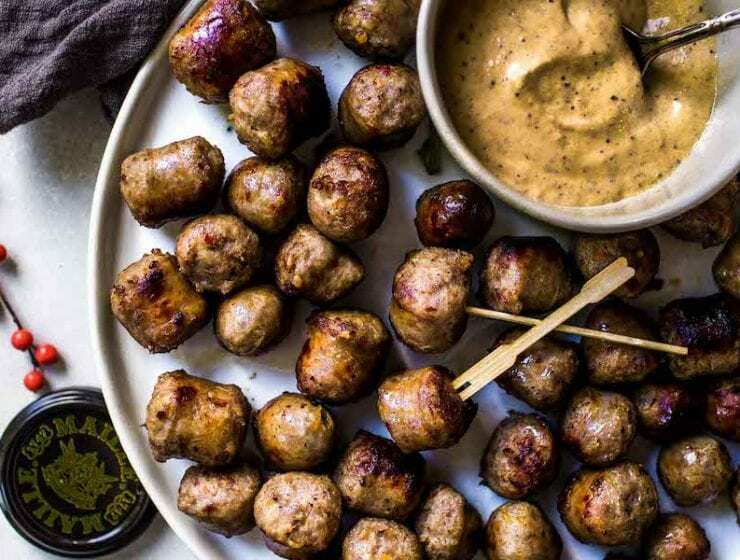 These Sausage Bites are simmered in white wine and served with a creamy, spicy mustard dipping sauce. 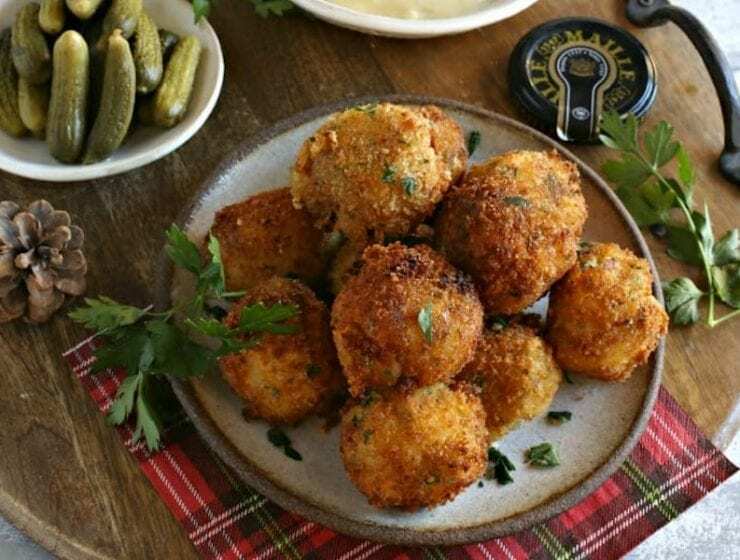 They’re a delicious party appetizer that cooks up quickly. 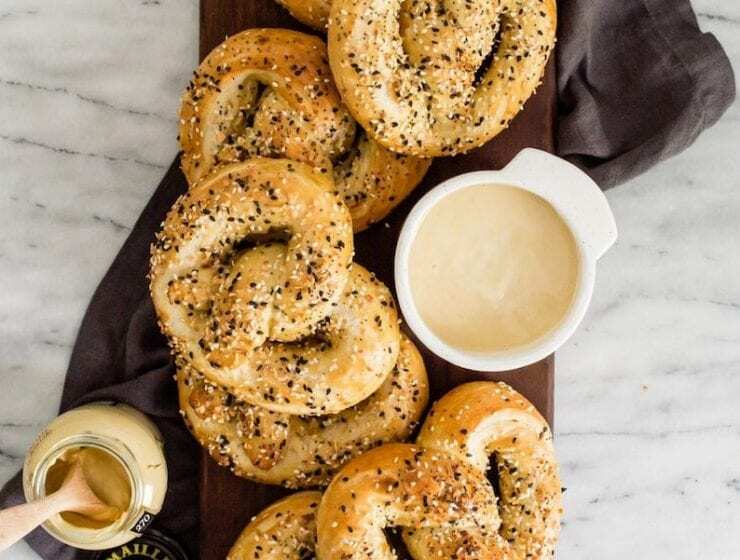 These Homemade, Gluten Free Pretzel Sticks with Maple Mustard Dip are a delicious appetizer idea for the holiday season. 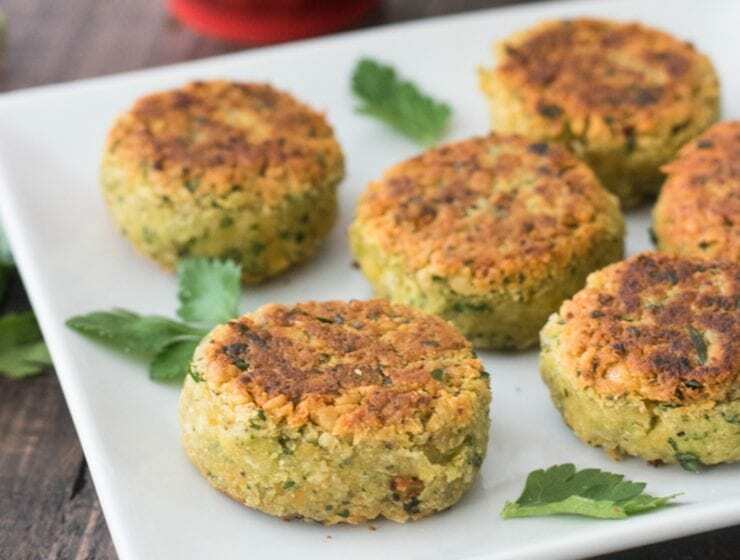 Easy, crunchy finger food that everyone will love! 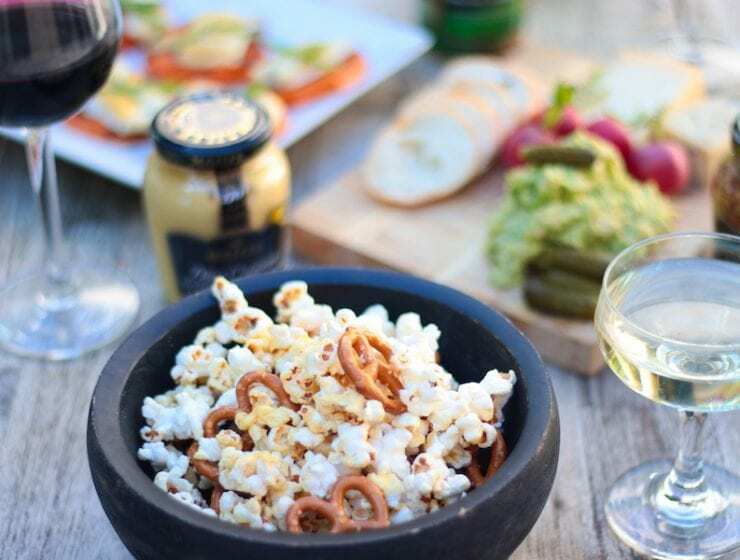 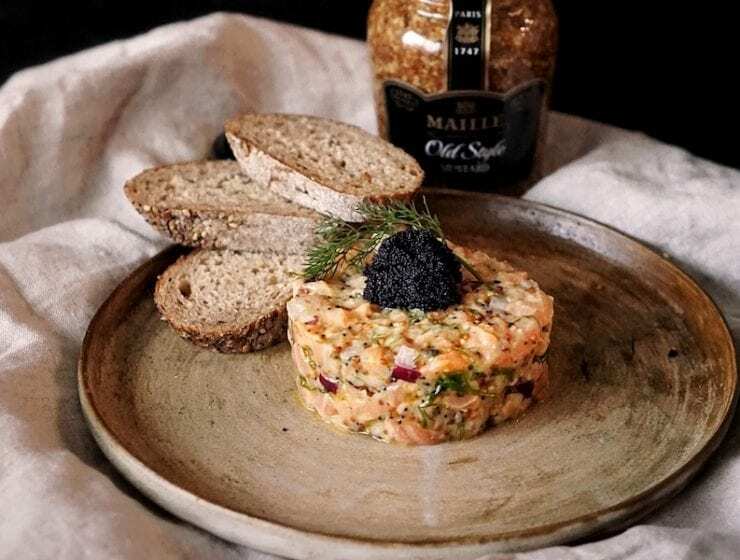 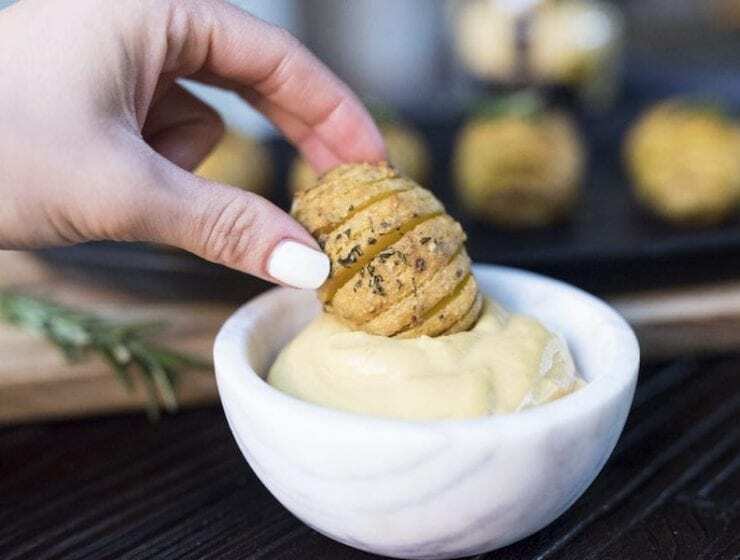 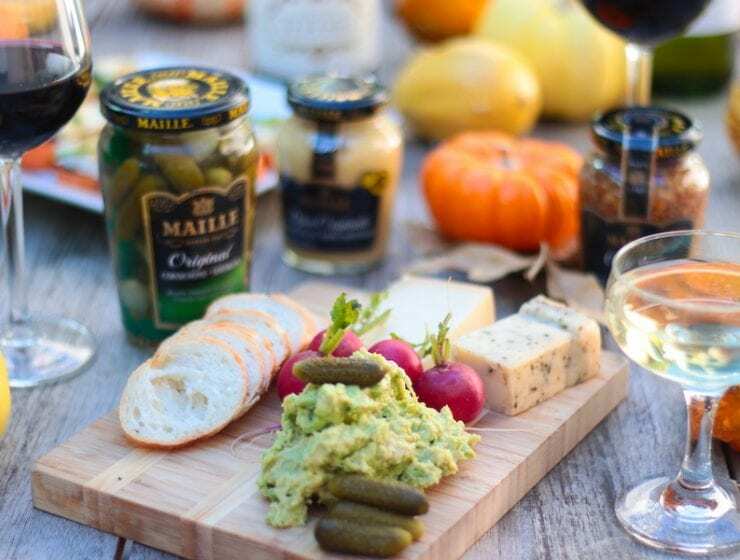 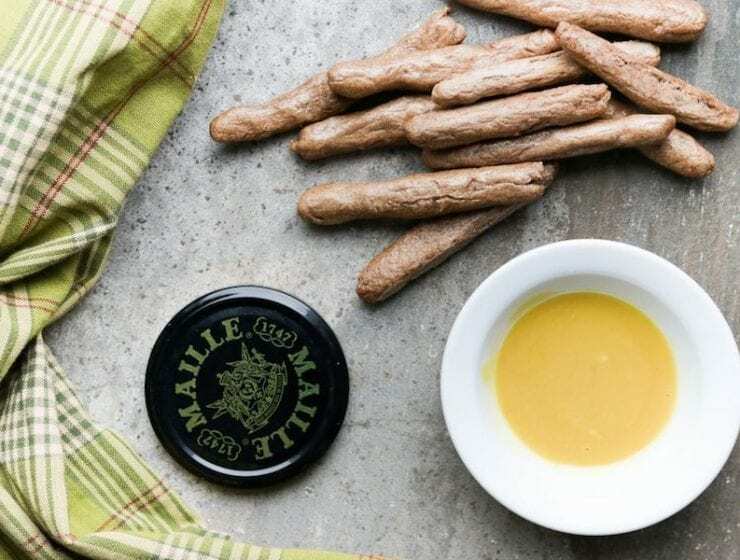 A great way to uplift your regular hummus, is to add a little smack of Maille Honey Dijon Mustard. 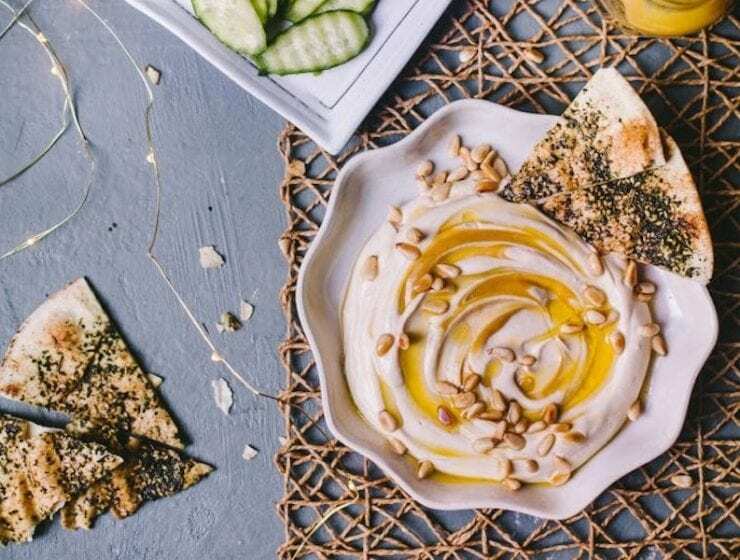 This Honey Dijon Hummus could be your quick holiday appetizer.